We are also registered for tax credits and for the funded Early Education for 2, 3 and 4 year olds, including for 30 hours free childcare for those eligible. Am I eligible for free childcare or tax-free childcare? 3 and 4 year olds in England are entitled to 15 hours and if you meet certain criteria an additional 15hours of funded early education each week for 38 weeks of the year. Additionally some 2 year olds are also eligible for 15 hours of funded childcare. For more details, please visit Bradford Council's information site, or please feel free to discuss your eligibility with Claire. Note there is a deadline each term, please ask for further details. Tax credits are available to assist working parents with childcare costs - please visit here for more details. Please visit here or contact Claire Heslop, our manager from more information. Are carer ratios by in line with Ofsted requirements? Daisy Chain Nursery has nursery nurse and carer ratios that meet Ofsted requirements. (1:3 for under 2's, 1:4 for 2-3 years, 1:8 for 3-5 years). Our manager, nursery nurses and other carers possess a great deal of experience and relevant qualifications. A complete listing of the qualifications of our people can be found under 'Our people'. Please come and see for yourself - all of our nursery nurses and other carers enjoy working with children; they are a well established and committed team who always have the welfare of the children in their care as their first priority. Do you invest in development for your carers? We actively encourage all our nursery nurses and other carers to regularly attend training in childcare and youth education areas, so that they are able to implement new ideas and requirements. We also ensure that all people are up-to-date on their health and safety training. What is your approach to settling in new children? Settling your child into the nursery environment is very important. The approach to the introduction of your child will be discussed on a one-on-one basis with you, and the optimum introduction method will be adopted depending on their age, experience and temperament. Does the nursery have a variety of pre-school programmes, and how do activities meet Early Learning Goals? We also have supervised educational activities outside the nursery. Are there outdoor play areas for my child? large grass and safety flooring areas for older children, which also has a canopy for differing weather conditions. This allows children to play outside all year round. a secluded lawned area where babies can play under supervision. 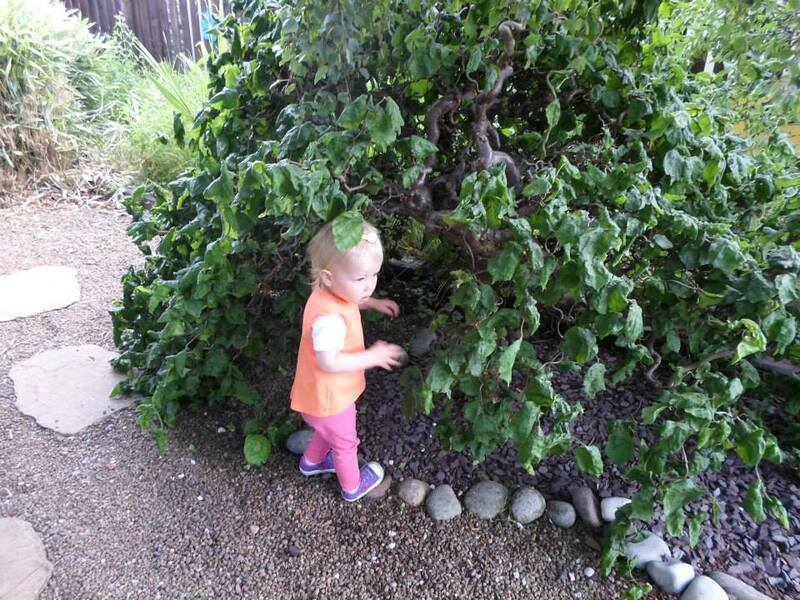 a sensory garden, where your child can explore different sensations. equipment including a play house is also available for them to enjoy. We employ landscape gardeners to ensure our outsider areas are kept to a very high standard. How does the nursery communicate with parents? we produce termly reports and schedule individual reviews to discuss your child's progress. we encourage parents to follow us on our Facebook page - where we provide updates on activities and events. There is also a parents' group, which meets with our manager, Claire Heslop and support team, to provide feedback and suggestions. Are meals nutritious, and how does the nursery cater for individual dietary needs? All diets can be catered for and the meals provided are breakfast, lunch and light tea. The nursery menus have been prepared in line with the recommendations from the community dietician and in accordance with the guidelines laid down in Eating Well For The Unders 5s In Childcare. Claire and the Cook have completed Food Allergen training and ensures the nursery meets the current legislation regarding Food Allergies. Are there procedures for dealing with accidents and emergencies, and who has been trained in First Aid? All staff members have undertaken First Aid and Health and Safety briefings, many of our nursery nurses and carers have qualifications in this area. All qualifications are listed within the nursery. Are there procedures regarding the collection of my child? Our nursery will only release children into the care of parents or other adults by prior arrangement with their parents. We have specific procedures for collection of children that will be made available to parents on enrolment of their child. CCTV cameras are in every room and also cover our outdoor play areas. These are accessible by our manager. Security front-doors, which can only open from the inside, and sound an alarm when open. An emergency alarm system linked directly to a security firm control centre is in place for added peace of mind. Am I able to book extra sessions? Extra sessions if available can be booked by contacting Claire Heslop, our Manager. Eligible parents of 3 and 4 year olds may claim funded childcare of up to 30 hours. Please visit Bradford Council's information site for more information. Daisy Chain Nursery operates an equal opportunities policy. All children, adults and carers are treated as individuals, taking into account religious, ethnic, cultural and other preferences and origins. All carers must ensure that children are provided with information about different cultures. Every child is encouraged to develop and learn without prejudice. Equal Opportunities are fully integrated into our activities and displays positively reflecting the history and culture of living in a multicultural society. All play activities reflect non-sexist and non-racist attitudes. Role playing situations, books, posters, story telling, food & cooking activities, dressing up, jigsaws, and music are all used to emphasise our non-racist and non-sexist attitudes.